Robert Lane trained as a Corporate/Commercial lawyer at Slaughter and May, and since 1988 has been at CMS Cameron McKenna in the City, specialising in Energy related work. He worked extensively on the England & Wales electricity restructuring between 1988 and 1990, and continues to advise on the various changes and issues which arise. He has since 1990 been a partner in CMS Cameron McKenna LLP, where he is Head of Regulated Industries, advising on utility commercial and regulatory issues in the UK and overseas. He acts principally for transmission companies, suppliers, traders, banks, generators, distribution companies, water companies, infrastructure funds, governments and regulators. He is Chairman of the UK Government’s Power Sector Advisory Group, and an Executive Member of the Parliamentary Group for Energy Studies. He is Secretary and Executive Member of the British Energy Association and also Chairman of the City of London Solicitors Company’s Energy Committee. Formerly Chairman of the Utility Committee of the International Bar Association, he was appointed CBE in 2001 for services to overseas trade. He lives in London, and is married with three grown up children. David took a B.A. Honours in Animal Physiology at Lincoln College, Oxford then went on to study at St. Bartholomew’s Hospital Medical College from 1972 to 1975. He worked as a Consultant Urological Surgeon to Royal London Hospital and St. Bartholomew’s Hospital between 1988 and 2000 where he now holds an honorary position. He was accredited in Urology by the Specialist Advisory Committee in April 1986. 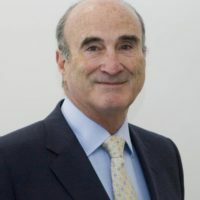 Since June 2000 David has been an Honorary Senior Lecturer at The Joint Medical College of St. Bartholomew’s and The London Hospital and a Consultant Urological Surgeon to King Edward VII Hospital for Officers. He holds various extracurricular appointments/positions including President Elect Section of Urology, Royal Society of Medicine since 2006 (For 2008-2009) and Vice President of Section of Urology, Royal Society of Medicine since 2005. He has written over 60 Publications in Medical and Scientific Journals and two within published books. David is married with two daughters and two sons and lives in London. 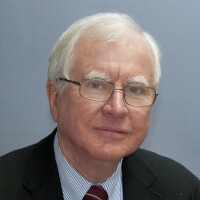 Ken qualified as a Chartered Accountant in 1968 and spent the next eleven years in the profession, initially with Peat, Marwick, Mitchell & Co (now KPMG) in London and Montreal, and subsequently with Price Waterhouse & Co (now PricewaterhouseCoopers) in Bristol and London, leaving as a senior audit manager. He joined J Rothschild & Company Limited as financial controller in 1979 and subsequently became the company secretary of several large property companies whose shares were listed on the London Stock Exchange. Since retirement, Ken has been using his financial experience for a number of charities. He lives in London and is married with two grown up children and a number of grandchildren. He also enjoys golf, walking and travelling. Peter Norman has spent the last 30 years in the marketing of luxury goods, from toys, which every parent will confirm are an expensive luxury, to Moet Hennessy Louis Vuitton (LVMH), where he was Managing Director of Parfums Givenchy Ltd for 14 years, and then three years running Halcyon Days. Prior to this business career, he served seven years in the 9/12th Royal Lancers culminating with a posting as Equerry to HM Queen Elizabeth, The Queen Mother. His involvement in Orchid stems from his experience of seeing his son suffer, and subsequently recover, from testicular cancer. Skiing has played a major part in his life, but is now being taken over by tennis (real and lawn), golf, opera and ballet, as well as country pursuits. He is married with two children and lives in London. Dr Michael Harding has been a Primary Care Physician in London for many years. He has an independent practice at the Princess Grace Hospital. He joined a long established private practice in Chelsea after six years as a post-graduate with experience in London teaching hospitals (St Mary’s Hospital and Central Middlesex Hospital). He worked for a year in the Department of Paediatrics at the University of Cape Town, working at Groote Schuur Hospital. He retains a major interest in the doctor/patient relationship and to providing the best possible care for his patients. He sits on a local research ethics committee and is an organiser for continual medical education for general practitioners. He has a particular interest in research and advises several grant-giving bodies in the field of medical research. Consultant Oncologist and Professor Emeritus of Medical Oncology, St. Bartholomew’s and The Royal London Hospital School of Medicine and Dentistry. Tim Oliver studied at St John’s College, Cambridge and at The Royal London Hospital. After training in cancer medicine at St. Bartholomew’s, he moved to the Institute of Urology and pioneered the drug treatment of men’s cancer. Returning to Bart’s and the Royal London, he linked up with centers in East Anglia and Essex to create a clinical trials organisation large enough to study the new treatments that emerged from his work. In 1991 he was appointed to the Maxwell Joseph Chair in Medical Oncology. He has also contributed to international research initiatives in prostate and testis cancer treatment through the European Organisation for Research and Treatment in Cancer (EORTC). Retiring from the NHS in Sept 2006, he is continuing both his research work and private practice to care for patients who ultimately provide the inspiration for all his work. As a direct consequence of his desire to fight male cancer and his established record in research, Tim helped to found Orchid with his former patient Colin Osborne, and was the driving force in developing the work that Orchid funds. His vision of breaking through conventional research streams and identifying potential novel linkages and dependencies within male cancer disease types, has advanced understanding and provided new solutions. By bringing together basic science, epidemiology and clinical research, together with enabling activity such as histopathology, cell culture, tissue bank and IT/data management, in the form of a holistic programme, Tim Oliver pioneered a broad spectrum of exciting research. A direct result of his vision was the establishment in 2006 of a new Clinical Trials Unit in the Experimental Cancer Medicine Centre in the Bart’s and London School of Medicine in QMUL. Beyond the conventional medical and scientific environment, he is also concentrates on the role of fitness and healthy living in preventing cancers from being triggered in later life. In sum, for Tim, patient outcomes remain the highest priority in the fight against male cancer, and Orchid is privileged to have his continued support and inspiration to guide its efforts. Former Testicular Cancer patient Stuart Seymour, completed a degree at the University of Newcastle in geography before playing cricket in South Africa. He returned to the UK in 1998 and started working for the Investment Property Databank where he managed a large portfolio of funds. He joined the Royal Bank of Scotland in 2001 and is currently a member of the Financial Analysis and Modelling Team. Stuart has made a fantastic contribution to Orchid, raising more than £16,000 by organising a gala event at the Café Royal and completing a cycle ride from Lands End to John O Groats. Stuart is a keen sportsman playing cricket for Berkshire and he also enjoyed fine wine, cooking, stocks and shares. Mr Nick Watkin is a Consultant Urological Surgeon specialising in Andrology and Genito-Urethral reconstruction. He is Academic Reader in Urology at St George’s University of London. He qualified from Cambridge University and Oxford Clinical School in 1989. After training in West London and Cape Town, and completing a Higher Degree at the Royal Marsden/Institute of Cancer Research, he was appointed to St George’s Hospital in 2000, where he developed his specialist practice. He has built up a team who manage the penile cancer supra-network. This has resulted in several major awards; National Cancer team of the Year, twice in 2009 and 2014, and personally the Karl Storz Golden Telescope in 2010. The Urethroplasty service is involved with mentoring several UK departments and also in 2014, Nick was invited to set up a National urethroplasty service in Denmark. He sits on the NCRI penile group, NCIN Urology group and London Cancer Alliance Urology Pathway Group. He was secretary of BAUS Section of Andrology 2010-13, elected to BAUS Council in 2013, and in addition is Training Program Director for London South region and Director of Undergraduate Surgical Education at St George’s Medical School. He has authored or co-authored over 100 peer-reviewed publications and over 150 International abstracts. He has chaired scientific meetings, andrology teaching courses and he set up the Regional Andrology teaching for Higher trainees in 2013. Colin Osborne is a lithographer at one of the leading print management companies. He is a former Director of Ilford Golf Club in Essex and plays off a handicap of six. Colin most importantly, is the founder trustee and driving force behind Orchid. Colin possesses the best qualifications of all for his role in Orchid – he has endured two years of treatment for testicular cancer. Colin’s battle with cancer began in August 1994. Ironically, he discovered his lump at the same time as his wife discovered she was pregnant with their second child. An ultrasound scan showed the lump was malignant and he underwent surgery – orchidectomy (removal of the affected testis). Following this surgery, blood tests and CT scans showed the cancer had spread to his abdomen and Colin’s fight for survival began. The next treatment was four months of chemotherapy, the side effects of which were vomiting and hair loss, but this was quite easily endured as his chances of survival were quoted as 80%. Colin achieved remission by Christmas 1994 but by January 1995 blood tests were again showing positive which meant that some of the cancer cells had survived the standard chemotherapy treatment. Over the next three months the doctors tried to identify these cells with every known test- including tests still in the research process. But the cells could not be traced. On 3rd April 1995, Colin’s second son (Elliott) was born. Elliott was only two weeks old when Colin was told that at last the cancer cells had been found. Unfortunately, they had now taken hold in his body and had formed solid tumours in both lungs and in his pelvis. The chance of survival had dropped to 40%. After a month of further chemotherapy, a repeat scan showed the tumours had grown showing the chemotherapy was not working. Colin now needed a miracle. Professor Oliver discussed with Colin using a new drug that had not been tried in testicular cancer before, but was showing signs of being successful with other types of cancer. There was no option other than to try it. The chance of survival was now down to 20%. After just one course the tumours shrank, by two courses they were just small specks and as Colin achieved remission from his disease the decision was made to complete the treatment with a bone marrow stem cell transplant. A bone marrow transplant requires the patient to be exposed to very high doses of chemotherapy to kill off their bone marrow before healthy bone marrow cells are replaced. The treatment requires isolation in hospital for four to eight weeks and totally destroys the body’s immune system, leaving the patient open to any infection. Prior to the stem cell transplant, Colin had septicaemia twice, the second time requiring treatment in the intensive care unit. He was warned that there was a risk that the treatment could kill him, but when you are thirty three years old and have two small children, you have no option but to grit your teeth and summon up the strength, courage and determination for the final round. The transplant was a success but Colin’s treatment was not quite finished. Just six weeks after the transplant, Colin had to have further surgery to remove all the lymph glands in his abdomen and pelvis to ensure that all the areas that had been diseased were removed and that no cells were to remain that could survive the treatments. Colin was positive throughout all his treatments, he never gave up hope and it was sheer guts and determination that got him through. Colin has utilised his knowledge of the physical and emotional rollercoaster that a man suffers when being diagnosed with and having treatment for cancer and now acts as a counsellor for fellow cancer patients. It was during his treatment that the financial crisis facing Professor Oliver’s research unit came to light. With the knowledge that without the skill and dedication of Professor Oliver and his staff, and without the previous research carried out by the unit, Colin would not have survived, he felt he had to do something to help save the unit and continue the valuable research. So, together with Professor Oliver the possibility of starting a charity was discussed. Thus the seed (or should I say bulb!) was planted. The first fund raising event for Orchid was a Pro/Am Golf Day at Ilford Golf Club which together with a grand raffle raised almost £20,000. The enthusiasm that greeted this event greatly encouraged and inspired Colin and Tim. After the success of that venture Orchid was registered as a charity. Colin has appeared on several television shows – notably “Esther”, “Open House” with Gloria Hunniford and “Good Morning” with Richard and Judy. Articles were featured in most of the national newspapers and magazines as well as local press and radio. 2004 saw Colin win the prestigious Daily Mirror Pride of Britain award, which was featured on ITV and GMTV. 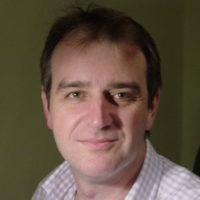 Colin also serves on the Executive Committee of the Men’s Health Forum and the NCRI Testis Trials Board.